When Paul Daley was fired by the world’s biggest MMA organization this past May for sucker punching Josh Koscheck at UFC 113, the slugger claimed to be “glad” because plenty of other doors would open up. In steps Strikeforce, as the UFC’s stateside rivals have just inked another former Octagon athlete. MiddleEasy.com first reported the possibility of the move on Sunday afternoon and MMAWeekly.com subsequently confirmed the signing with Strikeforce official Mike Afromowitz. It is believed Daley signed a six-fight deal with the San Jose, California based promotion. He is expected to break in his new contract before the end of the year. It was previously announced that the heavy-handed welterweight would participate in the upcoming Shark Fights card in September. Although no adversary has been assigned, it’s believed he will still compete in the event. Daley made his UFC debut in September 2009 with a devastating win over the talented Martin Kampmann. He followed that up by knocking out submission specialist Dustin Hazelett before his infamous incident with Kos. 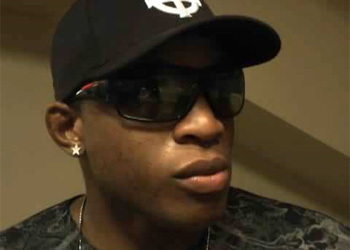 In case you missed it, “Semtex” committed the ultimate sin following his lopsided unanimous decision loss to his bitter rival. After getting manhandled for the better part of the 15-minute affair, a frustrated Daley walked up to Kos and landed the best left hook of the night – unfortunately, it was well after the final horn had sounded. No word on when Daley will make his Strikeforce debut, however the promotion has been talking about an October/November show that could feature the controversial 170-pounder.